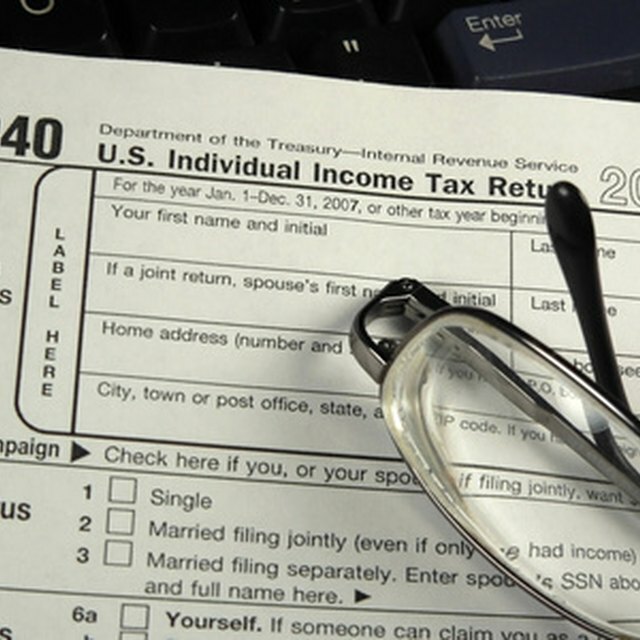 Personal exemptions are claimed on a tax return to reduce the amount of income that is taxed. A personal exemption is a deduction that you can take for yourself (if no one else can claim you as a dependent) plus any dependents you claim. How Much is Each Exemption Worth? Each personal exemption decreases your taxable income by $3,650 as of 2009. This amount will remain the same for 2010. The amount you save for each exemption dependents on your tax bracket. For example, if you are in the 33 percent tax bracket, each personal exemption worth $3,650 will save you $1,204.50. Can I Claim Another Adult on My Income Taxes? What Is the Standard Deduction Per Child on Taxes? What Is an Exemption for Filing Jointly? In addition to yourself and your spouse, you may be able to claim children under 19, children who are students under age 24, permanently disabled children of any age and certain other people for whom you provide most of their financial support. You cannot be claimed as a dependent on another person's income tax return if you are married and file a joint return. For example, if your spouse works overseas and you spent the year living with your parents while you went to school, your parents could not claim you as a dependent unless you file your taxes separately from your spouse.